Why Choose the Aviation Maintenance Technician Program? Airliners, business jets, helicopters, general aviation aircraft and more ... there are so many different fascinating varieties of aircraft! The Pacific Northwest boasts a tremendous heritage of aviation, and that continues to grow today. There is a great - and growing - need for qualified aviation maintenance technicians. Employers look for basic skills in aircraft structures, systems, troubleshooting, regulations, teamwork and personal accountability. These are the foundation of our AMT curriculum, taught by award-winning instructors at our state-of-the-art South Hill Campus. Our AMT students average among the highest pass rates in the nation for FAA certification. If you're fascinated by the mechanics of aviation, this program and career path might be the perfect fit for you. Our Aviation Maintenance Technician Program can prepare you for a rewarding career in the aircraft maintenance industry. You'll learn how to perform repairs on all types and sizes of private and commercial aircraft. 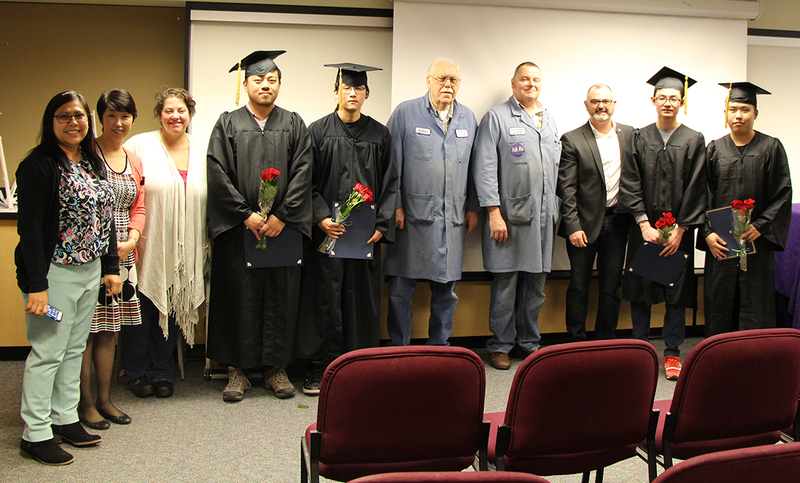 Graduates may find employment as aircraft mechanics. In Washington, median pay for aircraft mechanics is $65,000 per year. Develop and apply skills necessary for employment as defined by specific industry needs. Meet & Exceed FAA requirements for testing for A&P Mechanic certificates. Develop the skills and knowledge to successfully pass the FAA written exams. Become competent in the skills, knowledge, and techniques necessary to successfully pass FAA oral and practical exams for certification. Employ expanded Rotary Wing maintenance training as an integral part of AMT program. Greg Doyon has experience in aviation maintenance spanning more than 40 years. He graduated from Embry-Riddle Aeronautical University in Daytona Beach, Florida. He holds an Airframe & Powerplant Mechanic’s Certificate with an Inspector’s Authorization and is experienced in a wide range of aircraft, from antique-propeller and piston-engine aircraft to modern turbine-powered equipment. Aviation Maintenance Technician Program Information Sessions are hosted in the lobby of our South Hill Campus at 3 p.m. on the second and fourth Wednesdays of the month. For more information and a complete schedule of session dates, click here. 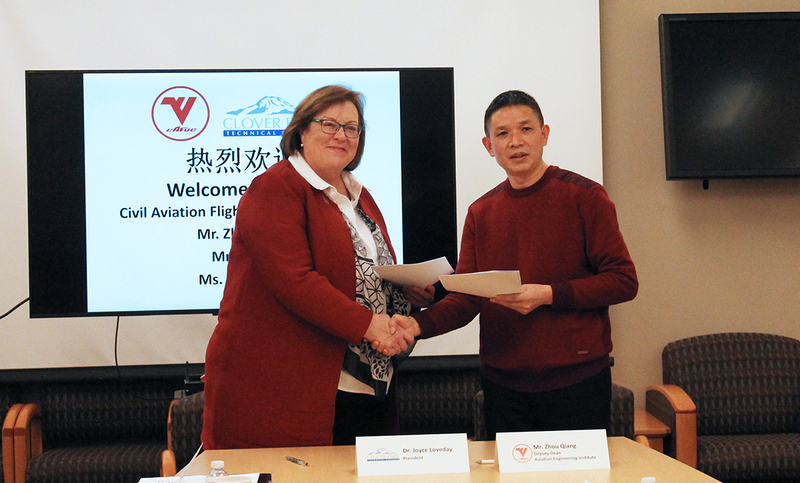 Clover Park Technical College welcomed a delegation from Civil Aviation Flight University of China this week as the two colleges commemorated the 10th anniversary of an international partnership and signed a memorandum of understanding to continue working together. A group of about 30 students, staff, faculty and host families gathered at the South Hill Campus on Friday, March 9, to recognize the international student graduates who are completing their program this winter quarter. 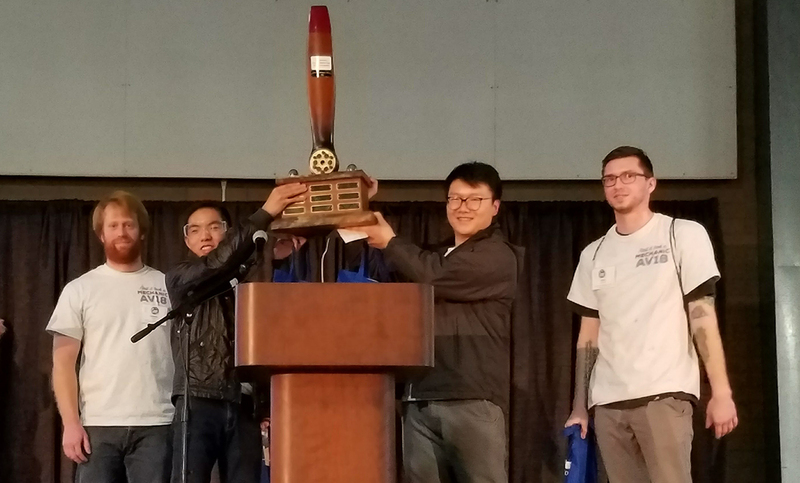 Four Clover Park Technical College Aviation Maintenance Technician students put their skills and knowledge to the test at the Northwest Aviation Conference & Trade Show, coming away with a first-place victory in an AMT student competition.